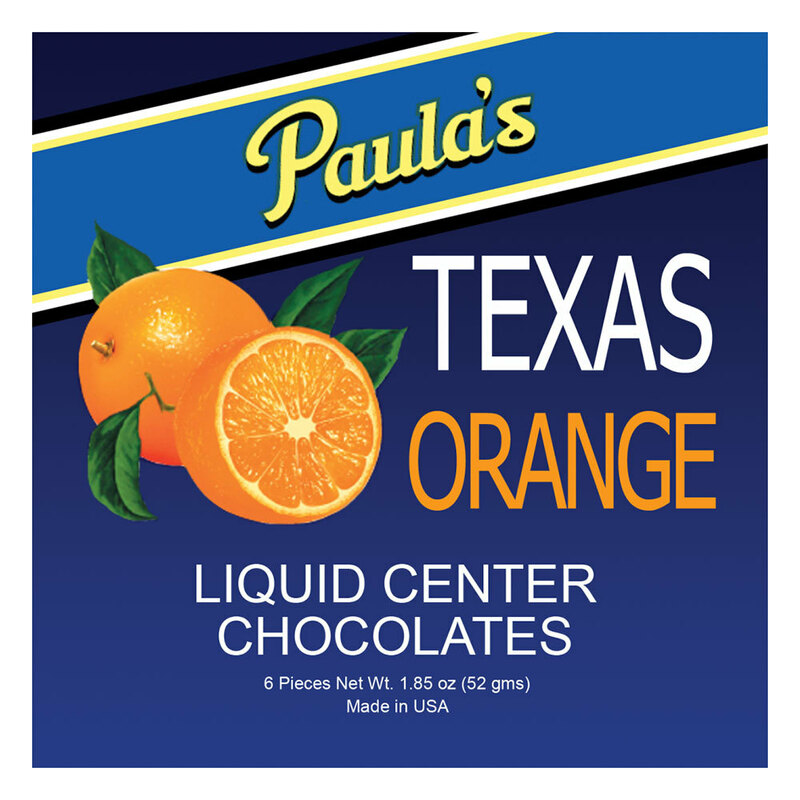 Paula's Texas Orange, a premium 80 proof orange liqueur handmade in Austin is encapsulated within a fine sugar shell to maintain and enhance the purity of its wonderful orange flavor. The chocolate is a fine American chocolate especially formulated to match the flavor profile of a leading high-end European dark chocolate. The savory liquid remains suspended within a thin sugar crust until it is crushed and the flavors mingle delightfully in your mouth creating a sensation of exquisite indulgence.